Should I Refinance? | 1st Residential Funding Inc.
Are you currently paying PMI? PMI, or private mortgage insurance is required until you have at least twenty percent equity in your home. Once your balance drops below 80% of the home value, your lender may eliminate PMI, as long as it is not an FHA loan. If you currently have an FHA loan usually the only way to eliminate PMI is to refinance. However, since we have been experiencing a bull housing marketing for some years now, it is possible that your home is worth more than it was when you bought it. Therefore, if your home value has increased enough, you may have more equity than you think. Do you need to pay off high interest credit card debt? High interest debt on credit cards, auto loans, or other consumer loans can be difficult to pay off and may create a barrier to your financial goals. However, if you’re a homeowner, you have additional options to help you manage your debt, including a debt consolidation mortgage. Those high interest rates on credit cards are not tax deductible while the interest on you home may be tax deductible. Do you need to complete home repairs or upgrades? 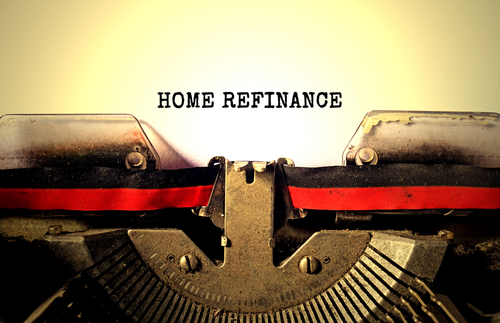 One of the main advantages of refinancing is to receive a lower mortgage rate that reduces the overall cost of the loan, which ultimately results in a savings. Refinancing could easily allow a person to “cash out” with enough funds for home repairs without an increase in the mortgage payment. This includes adding a pool, building a new addition, or remodeling the kitchen. In addition, since certain home upgrades will increase the final sale price of the home, this can be a great option for the long-term. Are you looking for a lower interest rate or better terms? I am shocked by the number of people who live with higher interest rates because they are too afraid to refinance. It is possible that your credit score was poor ten years ago and it’s better now! It’s also possible that you financed your home when rates were high or that you used a less-than-competitive lender. In addition, I often talk to people who simply want to pay off their home sooner rather than later. They want to go from a 30-year mortgage to a 15 or 20-year mortgage as they are planning to retire, travel, or simply become financially free. Whatever your reason for refinancing, we can walk you through the steps of determining if this option is right for you and how it could improve your quality of life and financial situation.